The implant procedure is carried out by computer guided surgery. It is simple, effective and post operative pain is negligible. 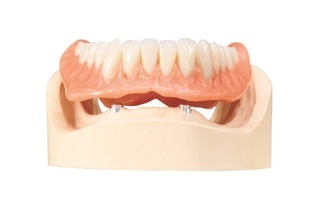 During and after the surgery, you will still be able to wear your existing dentures. Implant dentures can change your life. Implant can stabilize a full lower denture. This will allow you to be able to enjoy eating as normal. You will not feel like your dentures are moving around in your mouth. We team up with some of the best implant surgeons in New Plymouth.